Universal Music Catalogue’s “Re-presents” label takes well known and loved albums from decades gone and quite literally re-presents them in a fresh, new form. Each 2 CD package features the original album as it was in its entirety plus other exciting material, including original B-sides, alternative mixes, extended versions and edits – many of which have never before appeared on CD. A sure way to whet the appetites of seasoned fans and new discoverers to these classic records alike. Swing Out Sister’s 1987 chart-topping debut It’s Better To Travel is a warmly organic collection of electronic pop that sets itself apart with its use of real strings and horns as well as lead singer Corinne Drewery’s much-loved and recognisable vocals. The record spawned two Top 10 hits and achieved platinum status as well as earning the band two Grammy nominations and a host of critical praise from the likes of Melody Maker (“spanking, sparkling, radio-friendly little tunes”) and NME (“lush, laidback funky mix with nifty horn section”) . A chance meeting at Manchester’s now legendary Hacienda club brought Andy Connell and Corinne Drewery together. Andy had proved his musical capabilities with Factory Records’ A Certain Ratio, while Corinne, after graduating from St. Martin’s School of Art in London, found her musical interests had eclipsed her fashion career. Along with ex-Magazine drummer Martin Jackson they combined their diverse influences to produce a series of demos which attracted the attention of several major labels, including Phonogram, who eventually signed the band. Once Swing Out Sister was formed in 1985, a long-term working relationship with producer Paul Staveley O’Duffy was established, which was to define the future sound of the group. 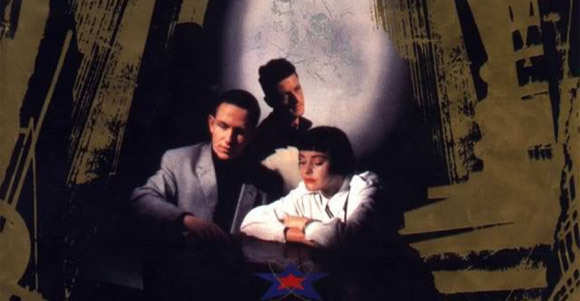 Their unique blend of cinematic jazz pop earned them several chart singles, including Breakout, a UK No.4 Hit, Surrender and Twilight World, resulting in their 1987 debut album, It’s Better To Travel hitting the number one spot in the UK album charts. Success followed throughout Europe, America and the Far East. In 1988, Swing Out Sister were nominated for two Grammy Awards including ‘Best New Artist’ and ‘Best Pop Vocal Performance by a Group or Duo’ for Breakout. Ten studio albums, two live albums and over a decade of live shows have gained Swing Out Sister international success. This newly enhanced 2 CD package has been compiled by Swing Out Sister (Corinne Drewery and Andy Connell); the audio is newly re-mastered; the brand new booklet features sleeve notes written by the band and a host of carefully selected photos.